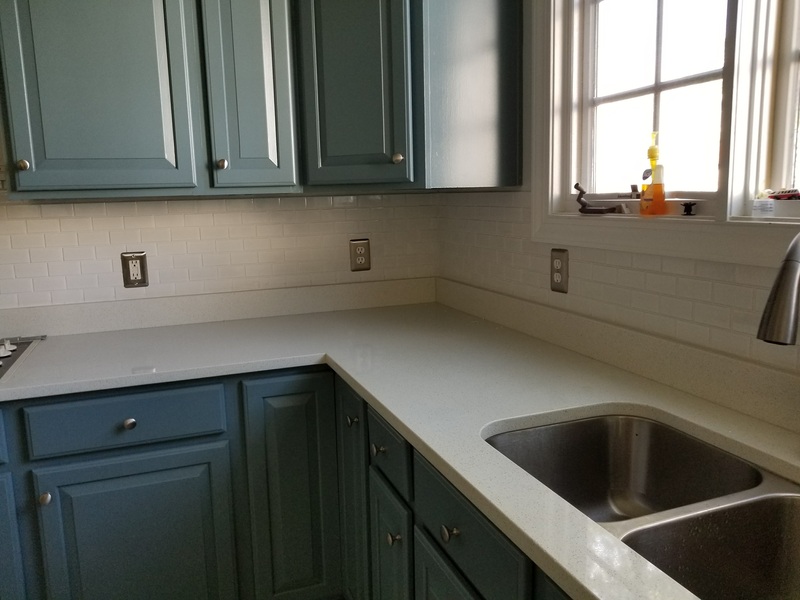 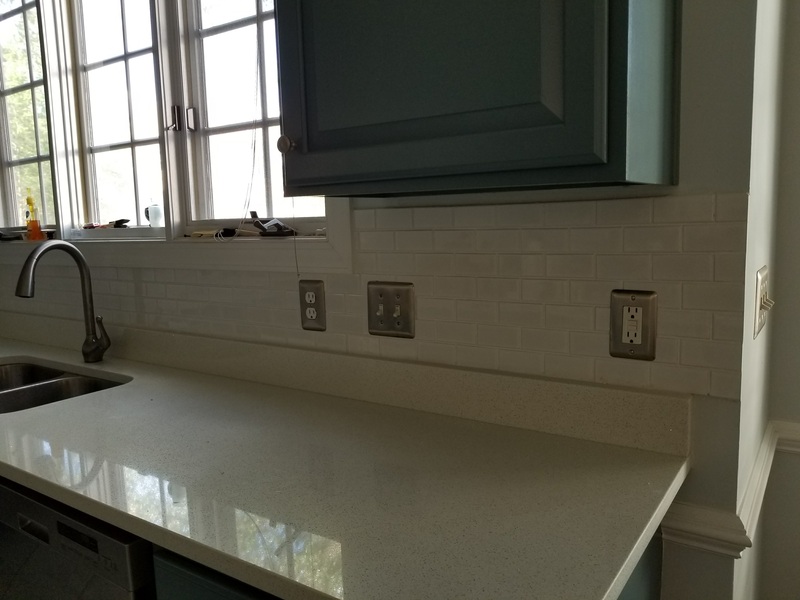 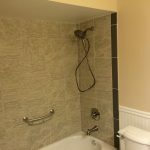 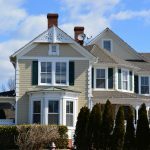 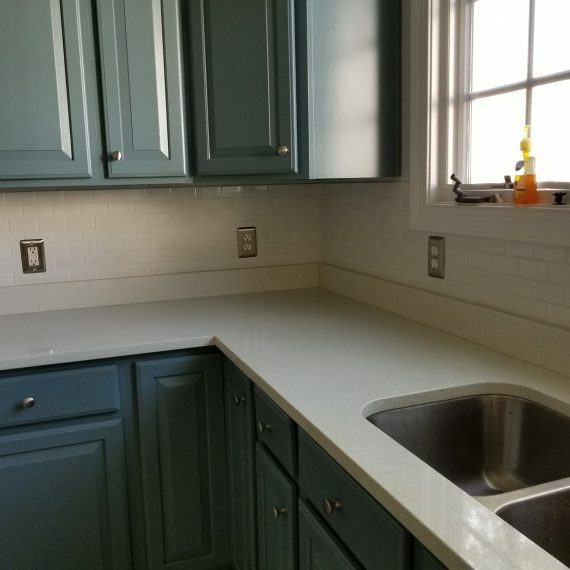 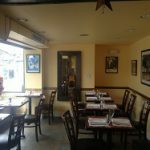 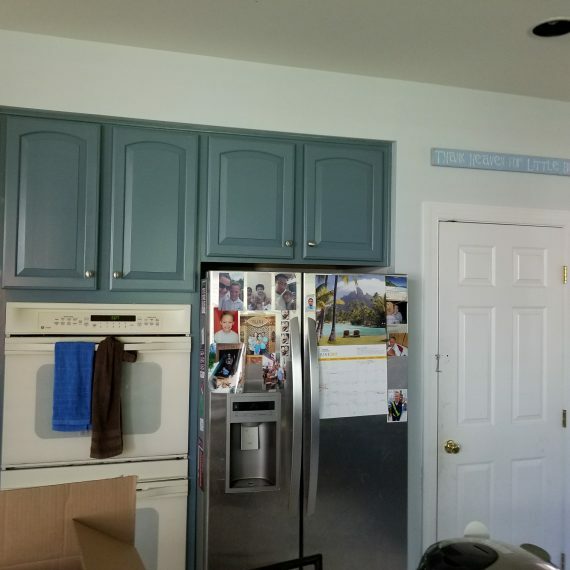 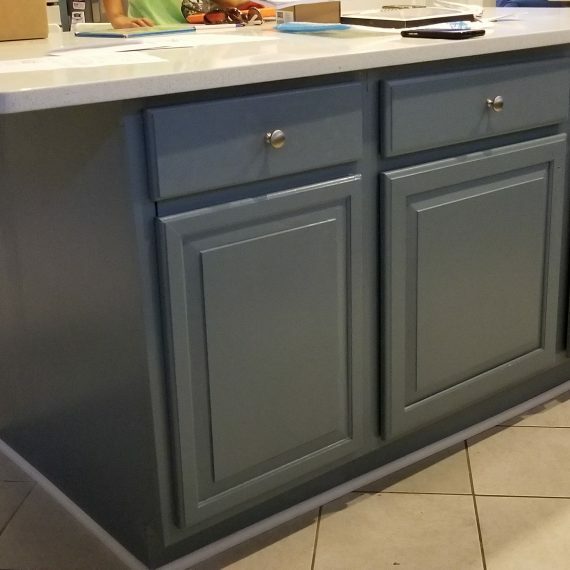 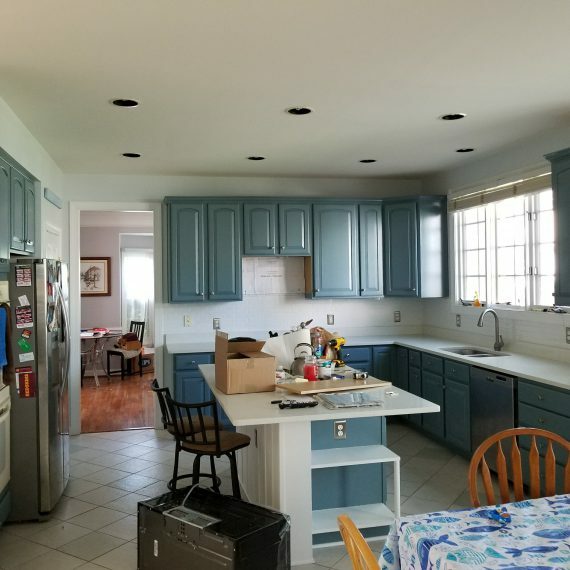 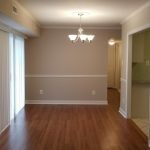 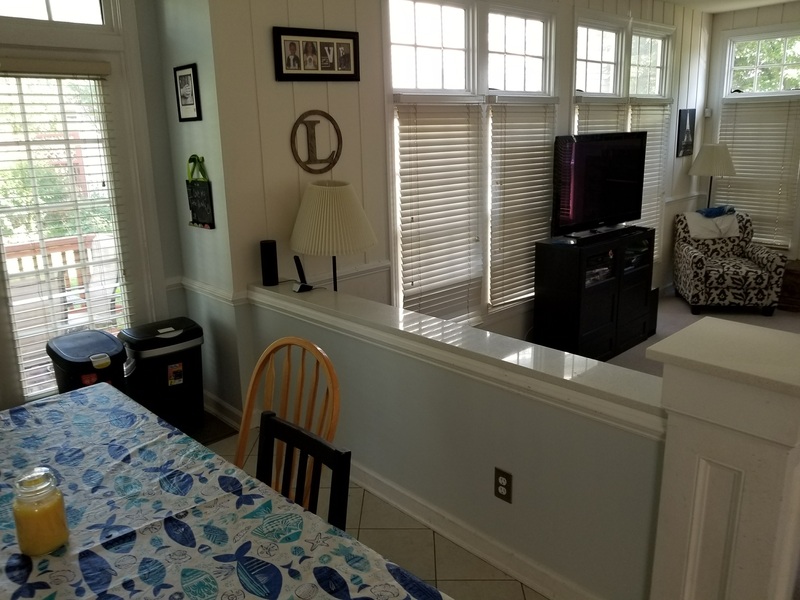 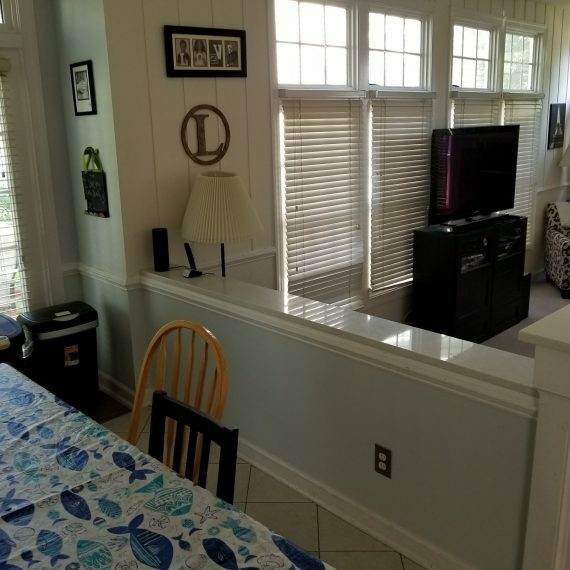 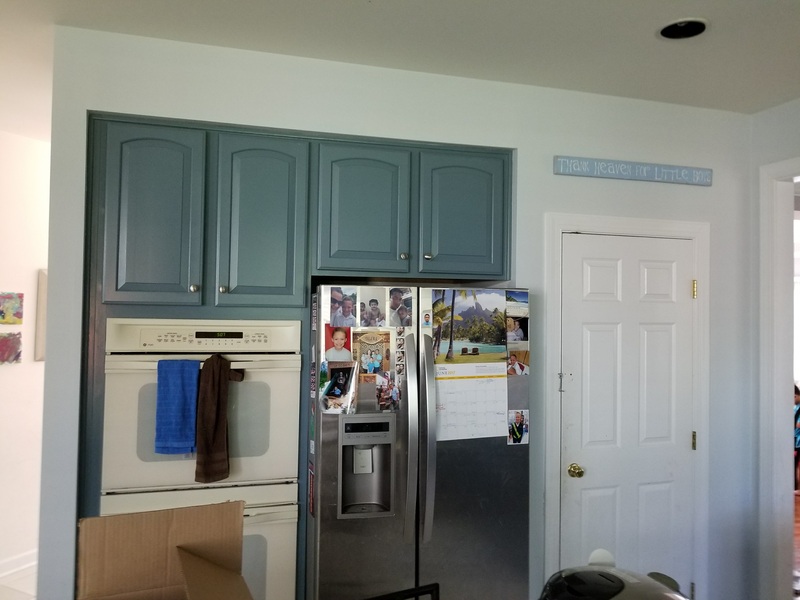 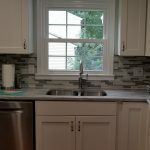 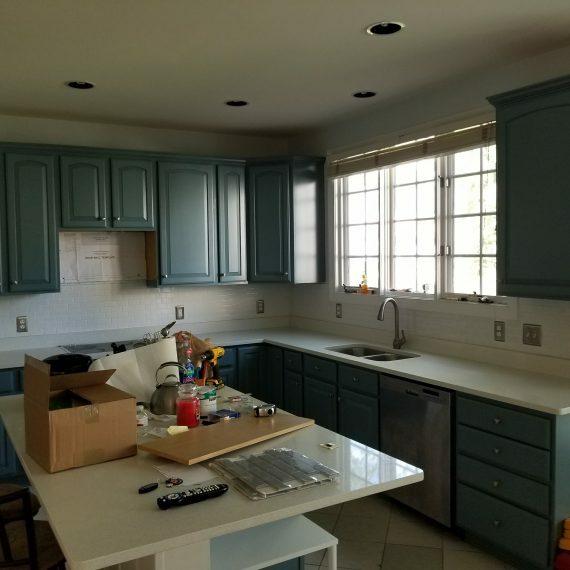 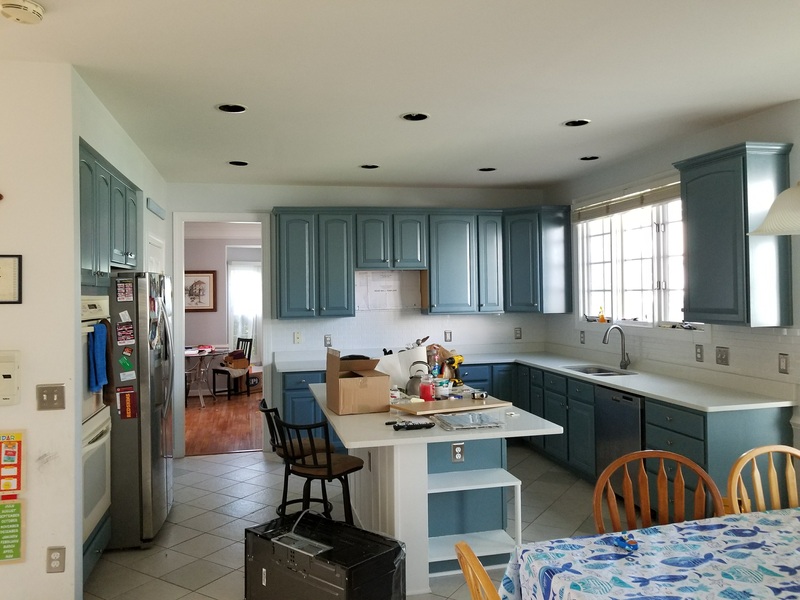 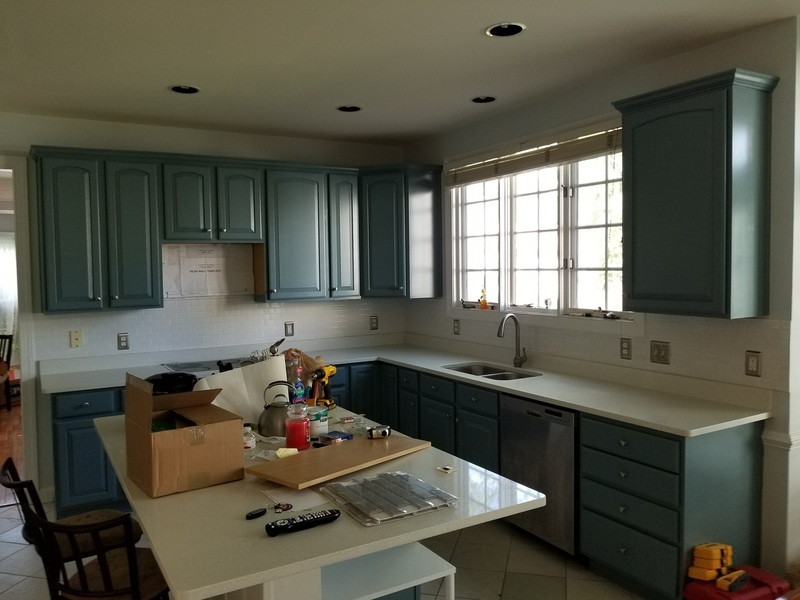 This project was the transformation of a traditional kitchen cabinets into a more up-to-date look including back splash tiles and a new counter top. 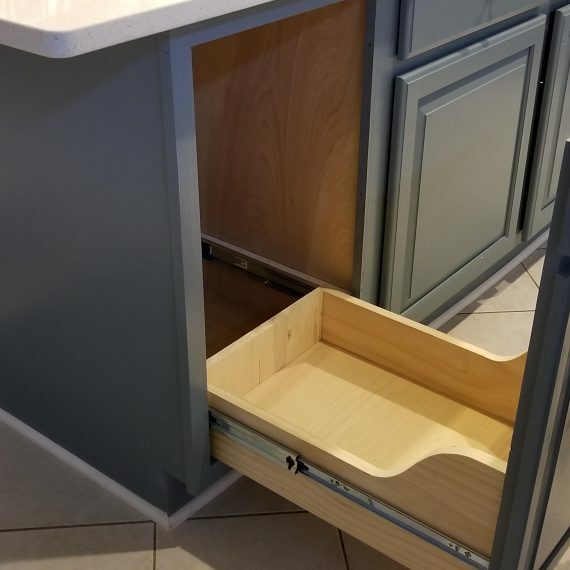 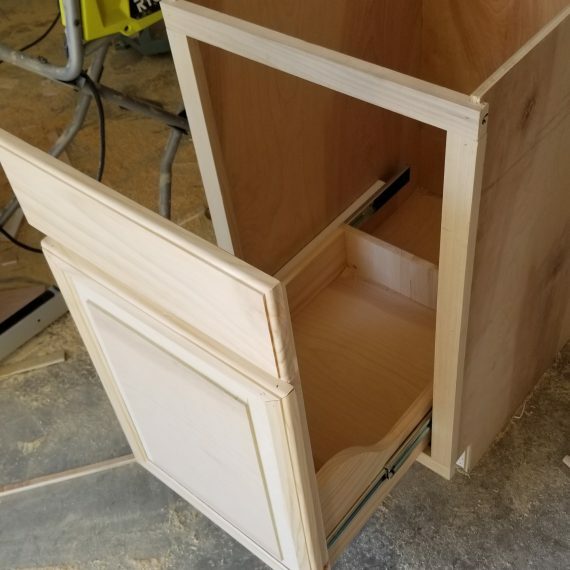 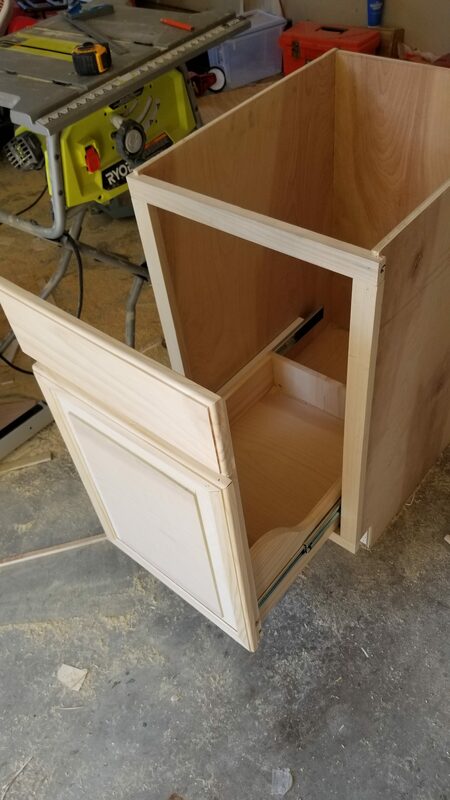 We added a custom made cabinet for housing the trash bin to the existing cabinets. 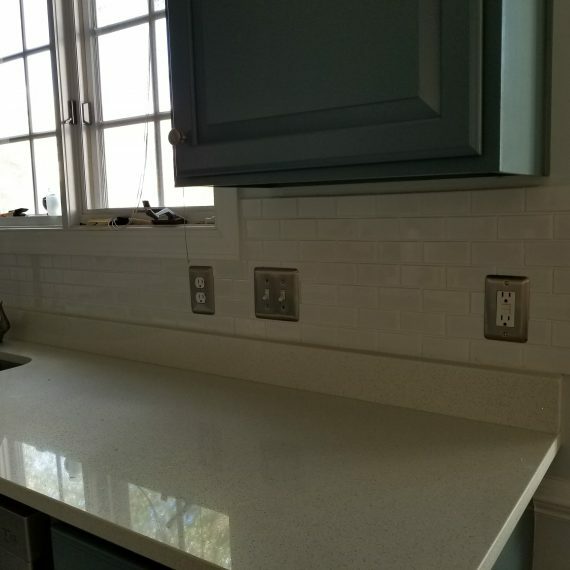 The cabinet was build on the customer premises and matched to the existing kitchen cabinet style.